For the past two years Worthy has been locked up putting the final touches on his debut full-length album. 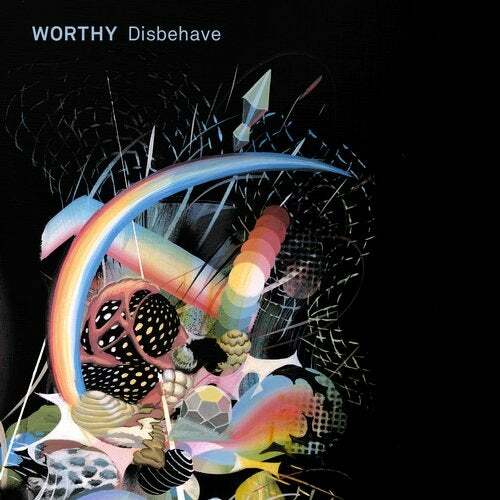 Disbehave, is a genre-defying rebellion against the house producers status quo. This album cannot be confined to a category, nor can Worthy be caged in with his colleagues. Breaking down rules and boundaries, Worthy has sought to set himself apart from the mundane world of expectation, striking out to release something unexpected. Liberated and unchained, this album is the ultimate expression of his being. As one of the four founding fathers of the Dirtybird party, you will find some homage to the Dirtybird sound on tracks like I Get. But this album departs from his usual booty tech beats, into a broader sonic experiment as he forges new alliances with future bass, downtempo, breakbeat and deep house. You can hear the broadness and complexity of sounds on tracks like On The Floor feat. Kevin Knapp (Off, Hot Creations) with its heavy bass to the beauty of swelling chords and swirling vocals on tracks like The Words feat. Audio Angel. Reminiscent of the early days of the electronic sound movement that were less imbued with genre stereo-typing, Disbehave is an emotional departure into a complex cavern of atmospheric rhythm, eluding to the many moods of the dance music sphere.